Toby's passion and enjoyment of being a NAFA Supervising Judge was what made him one of the best there has ever been. His knowledge of the rules, ability to train a new judge or answer competitors questions all while doing it with a smile and a laugh made him a joy to have in the ring. He made time for everyone and never let anyone feel like they were not important regardless how long they have been in the sport. If it was not for Toby, who knows if all those Western NY region 13 tournaments could have continued as he was the only Judge in that area for many years. 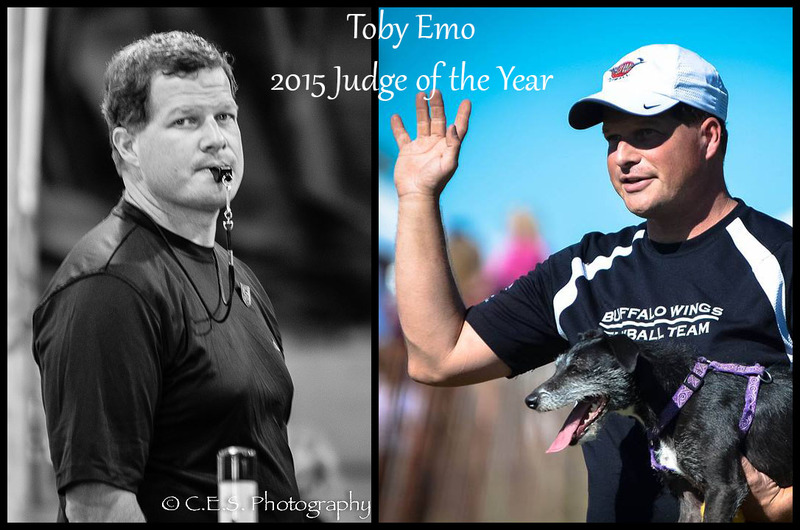 On behalf of way too many teams to mention, we would be extremely honoured if you would please consider Toby Emo as your choice for Judge of the Year.